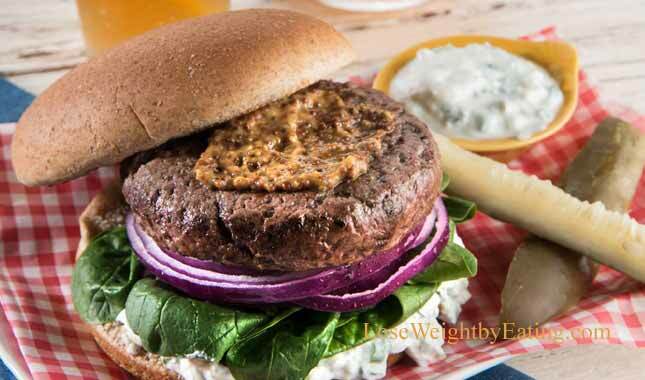 With summer soon approaching it’s time to dust off that BBQ and get cooking outside again, and this Blue Cheese Buffalo Burger recipe is the perfect way to start! But what if you are also worried about that bathing suit? I’ve got you covered, these 262 calorie Blue Cheese Buffalo Burgers will curb your cravings and help you lose weight too! 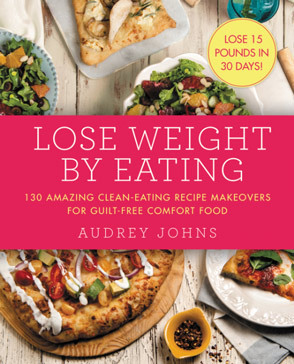 “Wait… burgers will help me lose weight?” You ask, yep, it’s true! 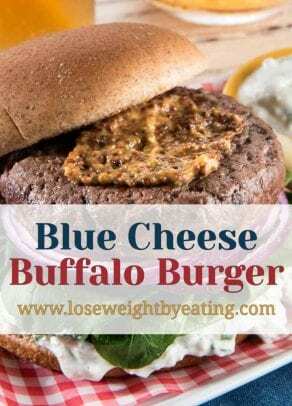 This Blue Cheese Buffalo Burger recipe is from my new WeightLossTopSecret Cookbook and it (along with all the recipes from the “For the Love of BBQ” chapter) will help you get ready to shimmy into that bathing suit and make you feel confident in those shorts! Before you skip over this recipe because it contains buffalo meat, give me one minute of your day to convince you to try this delicious, lean form of protein. Let’s start with the flavor. If buffalo were gross at all, I would just tell you to get lean ground beef. But it tastes exactly like delicious beef, but with more protein, iron, and B12 and less fat and calories. Plus it’s usually available at your local grocery store. For those of you Trader Joe’s disciples (like me) you will be happy to know they have pre-formed buffalo burger patties in their freezer section, so you can store the patties and a packet of their whole wheat buns in your freezer for fast dinners and weekend lunches. Try this lean and delicious meat yourself. You won’t be able to tell the difference, and you’ll be doing your body a favor. 4. While the burgers cook, make the blue cheese dip. Place all the dip ingredients in a bowl and mix together, smash the cheese up a little as you mix. 5. To assemble the burgers, spread some Chunky Blue Cheese Dip on the bottom of each bun, lay on some spinach and onions, and top with a burger patty. Spread some mustard, if using, on the top buns and place them on the burgers. I love to serve this burger with Asparagus “Fries” (page 171 of my cookbook). The combination is only 311 calories, leaving you with enough calories to indulge in a 137 calorie Strawberry Banana Shake (page 236). 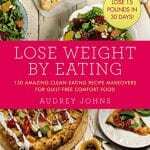 Get all these recipes in my cookbook WeightLossTopSecret and start eating your way to the figure you want!